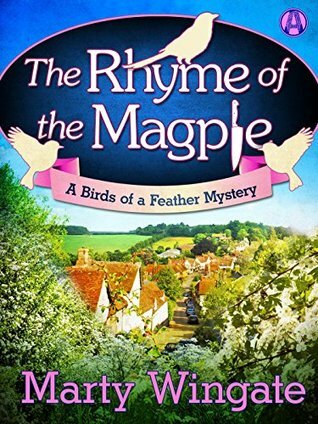 Review: The Rhyme of the Magpie by Marty Wingate + Giveaway – Escape Reality, Read Fiction! 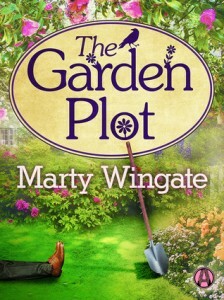 I have really enjoyed Marty Wingate’s Potting Shed series (The Garden Plot and The Red Book of Primrose House, reviewed here and here) so when I saw that she had started a new series, I was hoping for more chilling mysteries in a cozy setting with a likable main character, and I was definitely not disappointed. The Rhyme of the Magpie is a real treat, and Julia Lanchester is a lovely, lively and intelligent heroine on the cusp of a lot of changes in her personal and professional life. The setting is charming, and the mystery is definitely chilling. I repeat the rhyme here because Julia keeps referring to it in the book, and I ended up keeping a reference copy handy. In Julia Lanchester’s life, her family has used the rhyme on multiple occasions to anticipate her sister Bianca’s pregnancies and predict the outcome. 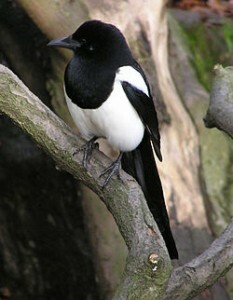 So far, completely accurately, but baby #4 is on the way, and the magpies predict a boy. If there are more in the series, and I hope there are, we’ll discover if the magpies are maintaining their streak. Julia is counting birds because they keep predicting sorrow, and Julia is worried. A few months before this story begins, Julia changed her entire life. Her mother was killed in a car accident, and her father remarried less than six months later. Julia, who can’t stop grieving, can’t understand how her father could move on so fast. She hasn’t forgiven him for letting go of her mother’s memory so easily, and she can’t forgive his new wife – especially since Beryl was her mother’s best friend and almost a second mother – certainly a favorite aunt – to Julia. In her anger at her father, Julia has given up her job as his production assistant on her father’s popular BBC nature program, A Bird in the Hand, and has become the manager of a tourist initiative in the small town of Smeaton-under-Lyme. 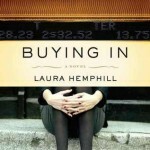 It is as she is finally adjusting to her new life that her old one catches up to her. First her father drops by unexpectedly and unwelcome, and Julia gives him the bum’s rush. In turn, he steals her car and disappears – not out of spite, but because he wants to travel incognito for a while and no one will expect him in Julia’s little blue Fiat. But with Rupert Lanchester in the wind, there is no way of knowing exactly who murdered the man found at her father’s cottage – and police are extremely interested in interviewing the elusive popular naturalist, as not only did the crime occur on his property, but the dead man was known to be an enemy of his. Julia finds herself increasingly involved with her dad’s new assistant – her replacement – in order to discover where Rupert might have gone and what it is he has been hiding from everyone. Julia and her replacement Michael Sedgwick can’t help but involve themselves in the murder investigation as they track down Rupert – along with an increasing list of all the enemies who might have wanted Rupert out of the way – whether temporarily or permanently. As the case unwinds, Julia’s memories of her childhood unravel. And her father’s enemies turn out to be much closer than she thought. But she’ll never look at bacon the same way again. Escape Rating B+: If you like cozy mysteries, both of Marty Wingate’s series are absolutely tons of fun. There’s something about Smeaton-Under-Lyme that makes me wonder if it’s not all that far from St. Mary Mead, where Miss Jane Marple held sway for so many years. I can’t explain why I feel that way, but I do. Back to Julia Lanchester. She feels like a well-rounded character, and a well-rounded person. By the end of the story, we know who she is and what she wants. Also what she doesn’t want. And in this story, we see her make one of the key but unfortunately revelations of adulthood – that her parents, and their marriage, were not and are not perfect. The world of her childhood reminiscences becomes much smaller than she remembered, and a lot of her rose-colored glass illusions are stripped away. It’s easy to understand her anger at her father and his new wife – Julia is navigating those seven stages of grief much, much differently than her father, or, for that matter, her sister. But Rupert is still her father, and no matter how mad at him she might be, she wants him safe and well. Even as she wants to shake him for worrying everyone. Her involvement with Michael Sedgwick is part of her reaction to the danger. She wants to find her father. 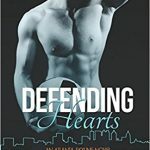 She wants to keep an eye on her replacement – because she initially doesn’t trust him. She wants to make sure that her father doesn’t come back to a disaster because Michael just hasn’t had time to learn all the ropes. And Michael is handsome, intelligent, interested and just a little too smooth for Julia’s own good. She falls for him, and into bed with him, knowing that he is keeping a big secret from her. Because she is also keeping secrets from him, she finds it difficult to judge him on that count. But she lets her heart (or other organs lower down) overrule her head, only to discover that it was both the right and the wrong thing to do. The secret Michael is keeping is a major one, but it has nothing to do with her father’s disappearance. And while Julia’s discovery of that secret affects her relationship with Michael, it is something that Rupert has known all along. Only Julia is hurt. And Michael, when the truth about his background comes to light. While I did figure out Michael’s secret relatively early on, and had a good guess at who was writing the anonymous threatening letters, I did not figure out who the big villain was in this story until the very end. The clues were there, but I was looking in a different direction entirely. 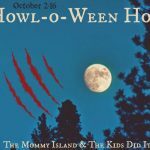 This tour includes a Rafflecopter giveaway for a $25 e-gift card and a copy of the book! I love that you kept repeating the rhyme to yourself – it is very catchy, and of course very important to the story!